Kyla’s memory has been erased, her personality wiped blank, her memories lost forever. She has been slated. The government claims she was a terrorist, and that they are giving her a second chance-as long as she plays by their rules. In spite of the advanced technology used to wipe Kyla’s past, she is able to remember snippets of her previous life and being curious by nature, stitches them back together creating even more problems for herself than could possibly be imagined. “In their remote Chinese mountain village, Li-yan and her family align their lives around the seasons and the farming of tea. For the Akha people, ensconced in ritual and routine, life goes on as it has for generations – until a stranger appears at the village gate in a jeep, the first automobile any of the villagers has ever seen. The stranger’s arrival marks the entrance of the modern world in the lives of the Akha people. Slowly, Li-yan, one of the few educated girls on her mountain, begins to reject the customs that shaped her early life. When she has a baby out of wedlock – conceived with a man her parents consider a bad match – she rejects the tradition that would compel her to give the child over to be killed, and instead leaves her, wrapped in a blanket with a tea cake in its folds, near an orphanage in a neighbouring city. As Li-yan comes into herself, leaving her insular village for an education, a business,a and city life, her daughter, Haley wonders about her origins, and across the ocean, Li-yan longs for her lost daughter. Over the course of years, each searches for meaning in the study of Pu’er, the tea that has shaped their family’s destiny for centuries. This story, told by Li-yan in the first person, present tense, flows along smoothly taking the reader from page to page, stage to stage, of her life. She relays a lot of information about a culture in the mountains of China virtually untouched by modernization until about 1995. Author See takes the reader on a journey in which the characters show tremendous growth, both in positive and negative directions. There was bit of a lull in the forward motion of the book about 3/4 of the way through, which I found difficult to continue through, but the intrigue created up to that point kept me reading. The book picked up again, and in the last 120 pages, I was reluctant to put it down. Overall this was a very satisfying and edifying read. Freddy Thresher is in grade one where show-and-tell is a big deal. It will be Freddy’s turn to share on Monday and he needs to find something super cool. On Friday afternoon he comes up with a great idea but he needs to keep it a secret all weekend. This junior chapter book is written for 6 to 8 year olds in first person past tense. The idea is great but I found the language a little harsh in some places. The characters seem older than typical grade one children. The story is action packed and young children will be keen to keep reading (or listening if you are reading to them). There are several educational bits included in the story and at the end of the book there are activities for children to complete. A good book for advanced grade one readers. L’histoire de Roy et sa nouvelle vie en Floride est racontée par le narrateur omniscient, au temps passé. Ce livre abord les difficultés rencontrées par des étudiants qui se déplacent fréquemment . Il représente aussi la bataille entre le monde moderne, qui veut tout aspirer, et la nature, en particulier, les espèces menacées, d’une manière sage et réalistiques. J’ai trouvé les personages crédibles. Leurs émotions étaient réalistiques et les dialogues naturels avec de nombreux anglicismes. Le livre était plein d’action et l’histoire était très interessante. Je l’ai trouvé difficile à poser. Chouette est un bon livre pour la jeunesse. 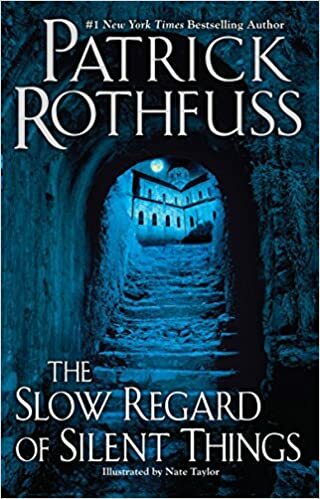 In this book tiny book (only 159 pages), Patrick Rothfuss brings us into the world of one of The Kingkiller Chronicle’s most enigmatic characters. 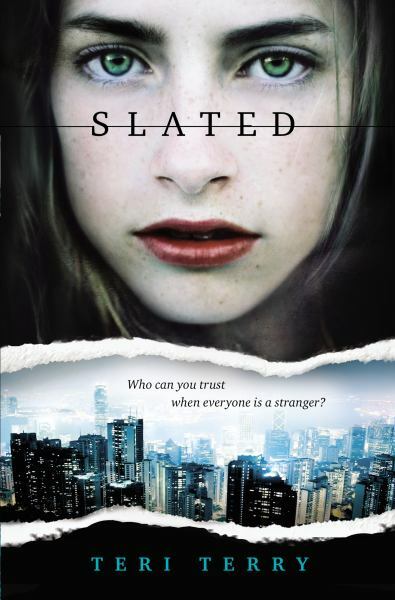 Full of secrets and mysteries it is the story of a broken girl trying to live in a broken world. Deep below the University there is a warren of abandoned rooms and passageways. This is Auri’s home, tucked in among the sprawling tunnels. The Silent Regard Of Silent Things is a short, bittersweet glimpse of Auri’s life, of a small adventure all her own. This haunting yet joyous story offers a chance to see the world through the eyes of this mysterious character. It gives the reader the chance to know things that only Auri knows. The narrative of the book is in third person, past tense. It flows easily from chapter to chapter and the excitement of Auri’s adventure grows with each one. This is a book to be savoured slowly and mindfully. It will lift your spirits and calm your very being with its poetic language and hopeful story. The author suggests that you need to read The Chronicles to better understand this story. I would disagree. The book stands alone very well. I have read the book at least four times and am madly in love with it each time.